Adventures in the Endless Pursuit of Entertainment: We will actually be seeing the Real Helen Mirren! We will actually be seeing the Real Helen Mirren! I have a ticket to the Shakespeare Theatre Company's presentation of the National Theatre of Great Britain’s production of Phèdre by by Jean Racine in a version by Ted Hughes at Sidney Harman Hall directed by Nicholas Hytner on September 26, 2009. I'm going with a gaggle of really cool girls too. 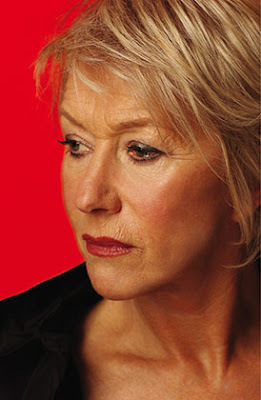 It is the sole American engagement of the National Theatre of Great Britain’s production of Phèdre and features Academy Award winner Helen Mirren!!! Artistic Director Nicholas Hytner is directing a superb cast, including Dominic Cooper (!) and Margaret Tyzack, in Ted Hughes’ adaptation of Racine’s epic tragedy. THANK YOU CORDELLIA - YOU ROCK!!!!! Labels: Cordellia, Helen Mirren, Washington D.C. Fantastic. I'm green with envy.